Administrative Law Judge (ALJ) Suzanne Brown, Office of Administrative Hearings (OAH), Special Education Division, State of California, heard this matter on February 13-14, 2007, in Manhattan Beach, California. Student’s mother and father represented the Petitioner Student. Attorney Christopher Fernandes represented Respondent Manhattan Beach Unified School District (District). Ellyn Schneider, Director of special education, attended the hearing on the District’s behalf. At the hearing on February 13 and 14, 2007, the ALJ received sworn testimony and documentary evidence. Upon receipt of the written closing arguments on February 23, 2007, the record was closed and the matter was submitted. 1 SEHO was the predecessor agency that conducted special education due process hearings prior to July 1, 2005. On July 1, 2005, due process filings with SEHO transferred to OAH. 2 OAH’s Prehearing Conference Order, dated January 29, 2007, confirmed these issues for hearing. During the presentation of evidence at the hearing and in written closing arguments, Student attempted to raise new issues. Pursuant to federal and California law, those new issues were untimely, and are not addressed in this Decision. 3 Because February 12, 2007, was a state holiday, OAH did not receive this motion until February 13, 2007. The ALJ reviewed and ruled on the motion at the hearing. 4 Also on July 12, 2004, the parties executed a settlement agreement resolving all issues through that date, including reimbursement for Dr. Lawson’s IEE. 5 Because Student was already seeing a private therapist, his parents declined the offer of DIS counseling, and the IEP team agreed that the program would not include DIS counseling. 2. If the District denied Student a FAPE, is Student entitled to compensatory education, to include the funding of a reading program with an emphasis on reading fluency, and the funding of a mathematics tutor, with an emphasis on algebra? 1. On February 9, 2007, the District submitted a motion to dismiss issues.3 The District moved to dismiss Student’s issue concerning reimbursement for an independent educational evaluation (IEE) by Dr. Christine Lawson, which had been previously identified as Student’s Issue 3 in an Order Following Prehearing Conference dated January 29, 2007. 2. On February 12, 2007, Student’s parents submitted a response to that motion. Regarding reimbursement for the IEE, Student agreed that the issue had been resolved, and that therefore the issue should be dismissed. Accordingly, at the hearing on February 13, the ALJ dismissed the issue concerning reimbursement for an IEE by Dr. Lawson. 3. The District’s motion to dismiss issues also moved to dismiss Student’s proposed resolution of reimbursement in the amount of $1,560 for the cost of Student’s placement at the Center for Learning Unlimited (CLU) in March 2005. In the motion to dismiss issues, and at the hearing on February 13, the District argued that it had already offered to reimburse Student’s parents for the $1,560, and therefore no controversy existed regarding this remedy or for the time period of March 1 to March 30, 2005. 4. At the hearing on February 13, Student agreed that the District had offered to reimburse for the $1,560 cost of the CLU placement. The parents agreed that this offer resolved the issue of reimbursement for the cost of the CLU placement for the month of March 2005. Accordingly, the ALJ dismissed the issue concerning the proposed reimbursement of $1,560 for the CLU placement, and limited the time frame in Issue 1 to the period ending February 28, 2005. 5. In his closing brief, Student argues that the CLU reimbursement should be reinstated as a remedy. Reinstating an issue after it has been dismissed would be unfairly prejudicial, because the District relied on the dismissal and accordingly did not submit any evidence regarding the CLU reimbursement. Hence, the Student’s request is denied. In any event, because this Decision ultimately finds no denial of FAPE, the Decision does not award any remedies, and therefore Student’s request to reinstate the CLU reimbursement as a remedy is moot. 6. The District’s motion to dismiss issues also sought to dismiss the portion of Issue 2 concerning Student’s proposed remedy of funding for a reading program with an emphasis on reading fluency. The District argued that this proposed remedy should be dismissed because the District had already offered to provide a reading program pursuant to the parents’ request. Student argued that the District had not proposed the type of program that he sought, and therefore the District’s offer did not resolve the issue. In light of Student’s position, the ALJ determined that a controversy still existed, and denied the District’s motion to dismiss that portion of Issue 2. 1. Student is fifteen years old and, during all times at issue in this case, was a resident within the boundaries of the District. He is eligible for special education services due to a specific learning disability (SLD) in basic reading, reading comprehension, math calculations and math reasoning, with processing disorders in auditory processing and attention. 2. Student attended elementary school at District public schools. When Student was in fourth grade, he was found eligible for special education under the eligibility category of specific learning disability (SLD). Thereafter, he continued to be placed in general education classes, but also received instruction in the resource specialist program (RSP). Beginning in fifth grade, Student received instruction and tutoring after school from Deborah Hofreiter, a District reading specialist, which Student’s parents privately funded. Ms. Hofreiter continued to work with Student during subsequent school years. 3. 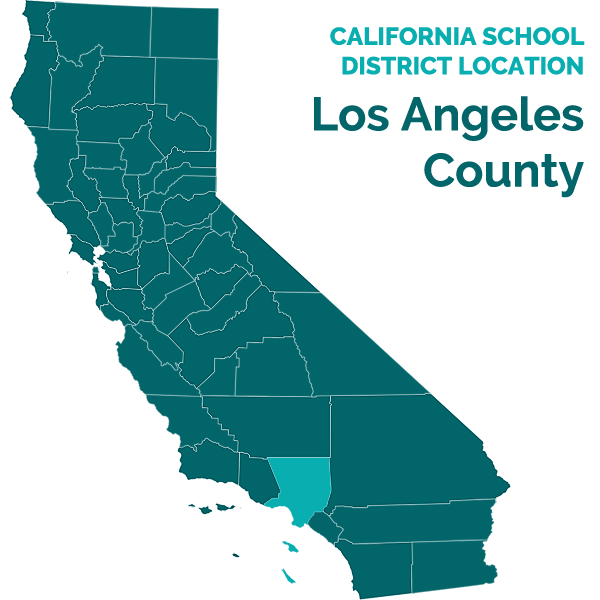 For the 2003-2004 school year, Student attended seventh grade at the District’s Manhattan Beach Middle School (MBMS), where he received RSP for three school periods per day and designated instruction and services (DIS) of counseling. In February, March, and April 2004, the District conducted Student’s triennial reassessment in several areas, including cognitive ability, academic achievement, visual-perceptual functioning, visual-motor functioning, auditory functioning, social-emotional functioning, speech and language, assistive technology and occupational therapy. Also during this school year, Student’s parents obtained independent educational assessments by Christine Lawson, Ph.D. and Rita Eichenstein, Ph.D.
4. On May 27, 2004, the IEP team convened for its annual meeting and to review the assessment results. The District offered to maintain Student in RSP at MBMS, and also offered services including inclusion assistance, DIS counseling, behavior services delivered in the home from a non-public agency (NPA), accommodations, and modifications. The team was not able to complete the meeting on May 27, and therefore the IEP team continued the meeting and reconvened on June 23, 2004. At the June 23 meeting, the team agreed to add educational therapy provided at school by educational therapist Vicky Eberling, and remedial support/tutoring delivered after school by Ms. Hofreiter. The team agreed to meet again to finalize the IEP on July 12, 2004. 9. Student began the 2004-2005 school year in the eighth grade at MBMS. He attended RSP classes for math, English, and academic support, and general education for science, social science, physical education, and an elective. Pursuant to the July 2004 IEP, he also received services including inclusion assistance, educational therapy for four periods per week, and remedial support after school four hours per week. On October 19, 2004, the IEP convened again. Student’s mother expressed her concerns that Student’s general education teachers were not communicating with his RSP teachers, and as a result Student was not receiving his IEP accommodations or modifications in his general education classes. The team members discussed the manner in which Student’s teachers and service providers would communicate regularly with one another. 10. The IEP team convened again on November 15, 2004. At the meeting, Student’s mother requested that Student be removed from his math and English RSP classes and instead be placed in general education for math and English. The team agreed to collect data on Student’s then-present levels of performance before deciding whether to change Student’s placement. 11. On December 1, 2004, the IEP team convened for a follow-up meeting. The team agreed to change Student to a different general education science class, because of his poor performance in his previous science class. The District members of the IEP team did not agree with the mother’s request to switch Student to general education math and English classes. 12. Student completed the fall 2004 semester with an academic grade point average (GPA) of 1.95 for the semester and 2.12 overall for his middle school years. Student did not return to MBMS for the following semester. In January 2005, Student’s parents notified the District that they would be removing Student from MBMS and unilaterally placing him at CLU. On or about March 1, 2005, Student began attending school at CLU. 13. Student had unique needs in reading, math reasoning, math calculations, written expression, social-emotional functioning, and study skills. His July 2004 IEP contained goals and objectives to address these areas of need. 14. During this time period, Ms. Hofreiter worked with Student on his reading using the Read Naturally program and Lindamood Bell’s Visualization and Verbalization program. Both the Student and the District concur that Student made progress in reading over the course of Ms. Hofreiter’s instruction during this time period, and the evidence supports this position. For example, Ms. Hofreiter established that, in January 2005, Student’s reading fluency was 125 words per minute, which was an improvement from 110 words per minute in October 2003. 15. No witnesses testified that Student’s needs could not have been met in a public school during this time period. Indeed, even Student’s mother and grandmother testified only that Student needed more intensive after-school support; none of the witnesses indicated that that Student required an NPS placement to receive a FAPE during the time period at issue. Moreover, testimony from school psychologist Janet Broady-Allen and special education teacher Kathleen Madden established that the program offered in the July and December 2004 IEPs was appropriate for Student and could have been implemented at MBMS. Hence, there was no evidence to support Student’s position that he required placement in an NPS in order to receive a FAPE during this period. 16. On March 30, 2005, the IEP team convened to discuss Student’s placement. At the request of Student’s parents, the IEP team agreed that the District would fund Student’s placement at CLU until June 22, 2005, and thereafter would fund Student’s placement at Summit View, another NPS. 17. In June 2005, Student began attending school at Summit View. He is currently in the tenth grade there and is on the high school diploma track. He is on Summit View’s honor roll, which is for students with a GPA of at least 3.0. Issue 1: Did the District fail to provide Student a FAPE between July 12, 2004, and February 28, 2005, by failing to offer Student placement in an NPS? 10. Based on Factual Findings 8-15, and Legal Conclusions 1-9, the Student did not establish that the District denied him a FAPE on this basis. Issue 2: If the District denied Student a FAPE, is Student entitled to compensatory education, to include the funding of a reading program with an emphasis on reading fluency, and the funding of a mathematics tutor, with an emphasis on algebra? 11. Because there was no finding of denial of FAPE, the Decision does not reach this issue. Pursuant to California Education Code section 56507, subdivision (d), the hearing decision must indicate the extent to which each party has prevailed on each issue heard and decided. The following findings are made in accordance with this statute: The District prevailed on all issues.